hey guys, I know you’re probably tired of me switching between different blog URLS, but I’ve decided to do it again. 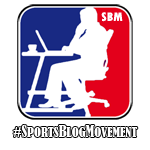 The new blog URL is http://thesportzguru.wordpress.com/. If you would be so kind, I’d like a couple of you guys to go up there and subscribe to the site. We all know DeMarcus Cousins is a pretty good basketball player with a ton of potential. In fact, most fans would consider him a future All-Star. Unfortunately, his temper tantrums led to the firing of coach Paul Westphal. Because Westphal was not able to control Cousins’ attitude on and off the court, he was fired. The Kings had a 2-5 record at the time of the firing. My question is: why would you fire a head coach after only 7 games? Was DeMarcus Cousins really good enough to fire your head coach over? If it were up to me, I would’ve traded Cousins and gotten some picks and players out of it. That would have been a win-win situation because: 1) Cousins would’ve been happy on a different team and 2) the Kings would’ve gotten some picks and players in exchange for Cousins. I almost forgot: 3) They wouldn’t have had to deal with Cousins’ temper tantrums anymore! Wow I’m almost on a rant here… I just can’t believe how stupid the Kings’ executives are! ESPN.com reports that Westphal was 51-120 with the Kings in his 2 years in Sac City. Question: do you think the Kings did the right thing? Should they have kept Westphal and traded Cousins? News broke out today that Patriots Offensive Coordinator Bill O’Brien has signed with Penn State. It seems that news is true. PSU is looking to officially introduce their new head coach at a press conference on Saturday (espn.com). Was this a good decision by PSU to hire O’Brien?? In my opinion, they should’ve looked for a head coach, not an offensive or defensive coordinator. That would’ve helped them out already, and would’ve narrowed the search down a bit more. I don’t know how good of a coordinator O’Brien is, but I do know the Pats have a great offense. To be honest, not much of a sports day today…maybe tomorrow will be better? One last question: Was this a good or bad decision by PSU? Yesterday, it was reported on espn.com that S Ryan Clark will not play next Sunday against the Broncos. Tomlin is sitting Clark because he’s got a disease called sickle-cell trait. This disease causes some blood cells to be abnormally shaped, just like this. 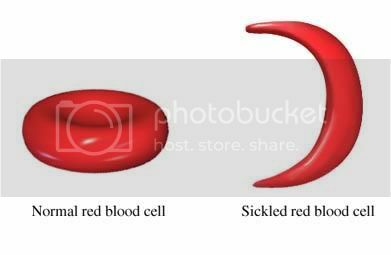 Because there are some sickle-shaped cells in the bloodstream, the person is much more likely to develop blood clots, especially in high altitudes. As we all know, Denver is the Mile-High City. Last time he played in Denver (2007), Clark “became violently ill and lost his spleen and gallbladder in addition to losing 30 pounds because of deprivation of oxygen to his major organs” (ESPN.com). While Clark is a big part of their defense and the Steel Curtain surely will miss him, no game is worth risking your life for. If the medical team had not removed Clark’s organs, he most likely would’ve suffered a stroke or a heart attack because his veins would’ve clotted. In my opinion, it’s the right call to sit him for this one. No game, not even the Super Bowl, is worth risking a life for. I’m sure Clark is devastated he can’t suit up for the game. However, he told ESPN he will travel with the team and cheer on the Pittsburgh Steelers as they take on the Broncos in Denver. Speaking of the game, why not preview it little? First off, Tim Tebow has not looked good the past 3 weeks. The difference in his game is he hasn’t pulled off the miracles we’re used to seeing in the 4th Quarter. Their running game is one of the best in the league, but I don’t think it will be enough against the Steel Curtain. Granted, they don’t have Ryan Clark, but they just have too many stars for the Broncos to get anything going on the ground. Plus, I don’t think Big Ben will let the Broncos win the game; I just think he will match their points if need be. To be honest, I think this was the wrong decision by the Eagles. It could work out for them, but I would’ve let Andy go after 14 seasons as the coach and no rings to show for it. I’m not forgetting the run this team had last year with Mike Vick as their full-time starter, however. Many fantasy football managers remember the amazing season Mike Vick had under center. All NFL fans remember how good the Eagles were last year; you were scared to play them! Now, there are a lot of uncertainties with this team. Will Andy win a ring with this team? History says no, and so do I. Can he take them to the playoffs? The NFL regular season is over. Teams that made the playoffs are busting their asses in preparation. The rest of the league has started their off-season. In fact, a couple teams have gotten head starts by firing their head coaches. The Buccaneers fired Raheem Morris yesterday, while the Rams fired Steve Spagnuolo. Both coaches were fired because of disappointing seasons: the Bucs finished 4-12, while the Rams finished an awful 2-14. Those W/L records kind of surprise me a bit, because both teams vastly improved last year when Tampa went 10-6 and St. Louis went 7-9. However, I suppose both franchises decided that the Head Coach should take the blame for the teams’ disappointing season. Those matchups are both AFC Wild Card games. Now, for the NFC Wild Card games: the Lions travel to New Orleans to face the Saints, while the Falcons travel to New York to take on the Giants. Honestly, I think the Bengals will win their matchup because their quarterback (Andy Dalton) is better than Jake Delhomme.However, if TJ Yates comes back, we don’t know how he’ll produce because he’s a little inconsistent. Regardless, I feel the Bengals have a better chance of winning because of their rookie quarterback and receiver. I think the Steelers will win their matchup because their defense is one of the best in the league. They will find a way to stop Tim Tebow. Also, Big Ben will make sure Pittsburgh scores enough to win the game. Will Denver even score at all in this game? I think the Saints will beat the Lions because their offense is just too good. Led by Drew Brees, they have a passing attack unlike any other in the NFL. However, I do think the Lions will make it interesting and a fun game to watch. I think the Giants will beat the Falcons because Atlanta has a history of being bad on the road. Plus, the Falcons aren’t used to playing in 30 degree conditions, like the Giants are. I do think this game will be close, but I feel like the Giants will pull out a victory here. To find the complete playoff picture so far, visit this link. Normally, Week 17 is the craziest week of NFL football. Why is that? Many teams are fighting for those 2 Wild Card spots. However, sometimes divisions that aren’t clinched can be decided on this very day. Such is the case with the NFC East, where the New York Giants and the Dallas Cowboys are vying for the division title today. Neither the Giants nor the Cowboys have good enough records to earn a Wild Card spot, so the game at 8:20 tonight is it. Both teams are 2-3 in their last 5 games. What surprises me about the Giants is they started off so well (6-2) but they perennially struggle in the 2nd half of the season. The Jets needed to beat the Dolphins today in order to have a shot at the playoffs. Unfortunately for the Jets and their fans, they lost to the Dolphins 19-17. Honestly, Rex Ryan and his team did not deserve to make the playoffs this year. They were extremely inconsistent (much like the Giants), allowed hundreds of points off turnovers, and did not execute well on offense. To top it off, Ryan was babbling about how his team is so good and how they’re gonna make the playoffs. Well Rex, what happened to that? In other news, the Indianapolis Colts have clinched the Number 1 pick in the 2012 NFL Draft. Will they select Andrew Luck? Only time will tell, but for their own sake, I hope they do. Alright guys, I’m back in action. After taking a break from blogging, I’ve decided to come back. My previous problem was that I posted too many times, and my writing suffered as a result. In addition, I had a lot of stress as a result of posting every day. That’s why I’ve decided to space out my writing a bit more this time around. I hope my writing will be much better because of it. Thanks for reading and I can’t wait to get back on the old grind again! Just wondering, how many of you ended up on my old blog page http://thesportzguru.wordpress.com/? Credible news sources are reporting Chris Paul requested a trade out of NO. His team of choice? The New York Knickerbockers. It looks like Paul is intrigued by the idea of playing with Melo and Stoutemire. My friend actually showed me the news on his iPhone during music rehearsal. Once I read the story, my mouth dropped and I was thinkin’ “Are you serious?” Paul, Melo, and Stoutemire would HONESTLY make a better team than LeBron, Wade, and Bosh. But that’s just my opinion. They have a better rapport just from being everyday friends, unlike the Heat’s Big 3. The week 13 NFL Power Rankings are in and I am pretty excited to have two knowledgeable football analysts with me to help with the rankings. We have taken the average of the threeanalysts votes. Each analyst has ranked the teams as they choose 1-32 and we have added comments for each team. Joining me today is Sam Brief, of Sam’s Sports Brief, a 14 year old who created Sam’s Sports Brief to give you a refreshing new perspective on the wild world of sports. Sam hopes to someday become a sports broadcaster or a sports writer and is following his dreams, providing readers with a wealth of information and keen perspective. Our second analyst today is JB Knox, of 1313sports. He, too provides in-depth game breakdowns and predictions of every game and has coverage of all of the four major sports on his site!!! I highly recommend checking their sites out and brushing up on your sports knowledge through the eyes of these sports fanatics. So without further ado, here are the NFL Week 13 Power Rankings. Comments and debates are highly recommended and encouraged on these websites!!! Hope You Enjoy!!! So it’s stretch run time in the NFL and the games are getting magnified on a week-to-week basis. The teams are fighting for coveted home-field advantages and playoff byes, while the lower tiered teams are already trying to figure out who has what it takes to stay on the roster for years to come. The Packers had a unanimous #1 ranking and I’m not sure even a single loss will hurt them in that spot. The Saints and Pats are putting up points at an alarming rate and what is going on in Denver. I, for one, would like to hear Von Miller’s named mentioned as often as I hear Tebow’s. The Coach’s hot seats are starting to boil over as well. Del Rio is gone in Jacksonville, Andy Reid and Norv Turner are both hearing the chants scream loud from their home crowds and more rookies (aka Patrick Peterson) are starting to make a name for themselves. Lucky number 13 is in the books. Let’s see how the playoff picture unfolds this coming Sunday!!! Sounds like a great day of NBA for a great Holiday. Although the NBA certainly lost some fans during this lockout, the die-hards will come back to watch their favorite team. I’m still in shock that they came up with the deal. Remember, the deal is tentative, meaning it’s not “by the books” yet. Once the owners and players get majority votes, then the season will official start on Christmas and we will be back in business. The details of the NBA are not out yet, but at soon as it is made official I will update you. I’m certain the players will be getting between 49% and 51% of Basketball-Related Income (BRI) every year. Unfortunately, I think both sides will opt out in 2017, which only guarantees us 5 good years of basketball. So enjoy it while you still can!